Fitness First Germany shapes up customer services with high-availability infrastructure from Lenovo. Fitness First Germany GmbH prides itself on giving its members the best possible fitness experience. But with an aging, diverse IT infrastructure in place, the company would often suffer hardware outages that brought key customer-facing business applications down. 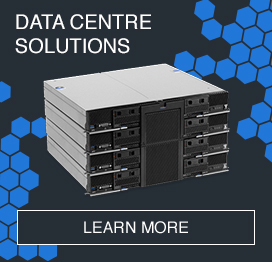 With highly reliable, high-performance Lenovo ThinkServer TS440 tower servers, Lenovo ThinkCentre M83 desktop PCs and Lenovo ThinkPad laptops, Fitness First Germany can be sure of keeping customer services running smoothly. With the Lenovo solutions in place, we are much better able to support our staff and deliver the best customer service. DO YOU WANT ACCESS TO OUR LATEST CASE STUDIES? SIGN UP NOW. *Please notify me when a new ThinkFWD case study is uploaded by Lenovo. Thank you for signing up for the ThinkFWD case studies.